I am fond of eyebrows lately. I notice a big difference if you take time to define your brows; especially for my brows because I really have a sparse one. I used a pencil to outline my brows and fill them with powder. 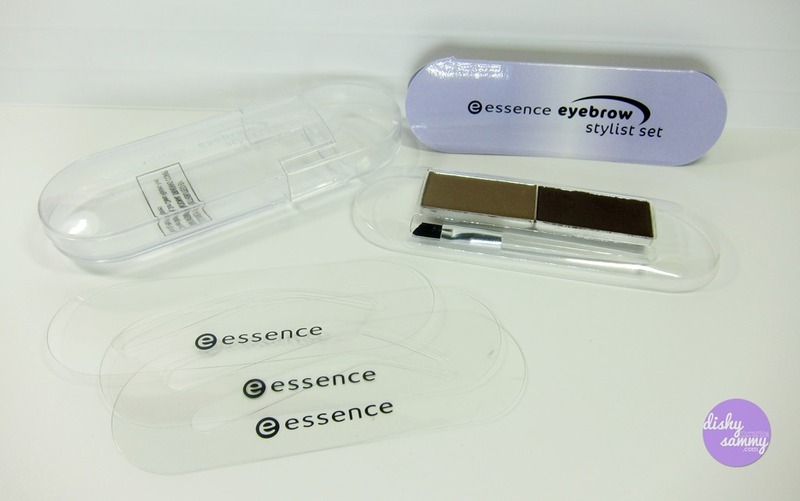 This is my go-to eyebrow kit as of the moment – Essence Eyebrows Stylist Set. I bought last June in SM Megamall for P189. 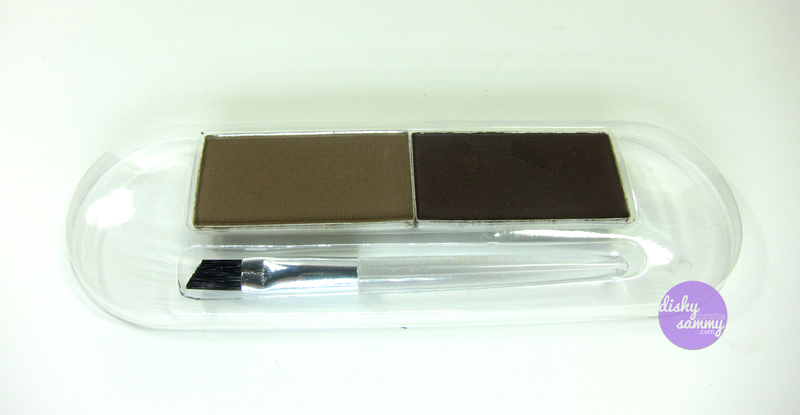 It consists of two eyebrow powders (taupe & dark), small angled, eyebrow brush, and three stencils. The packaging is interesting because of the way you’ll get the product. At first I thought it’s flimsy but it’s not. The eyebrow powder is in a small plastic tray. I find the angled brush handy also. 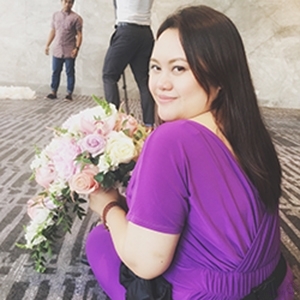 The color is not too light nor too dark for my skin tone. This could work on fair, medium, and dark skin tone. The staying power and pigmentation of this product is also something you will admire. In a very affordable price your whole look could change. I believe mastering the technique of defining your own brows could lead you to “my face but better” look. You could use a pencil to outline your brows for a bolder look. You can apply this alone for a natural look. 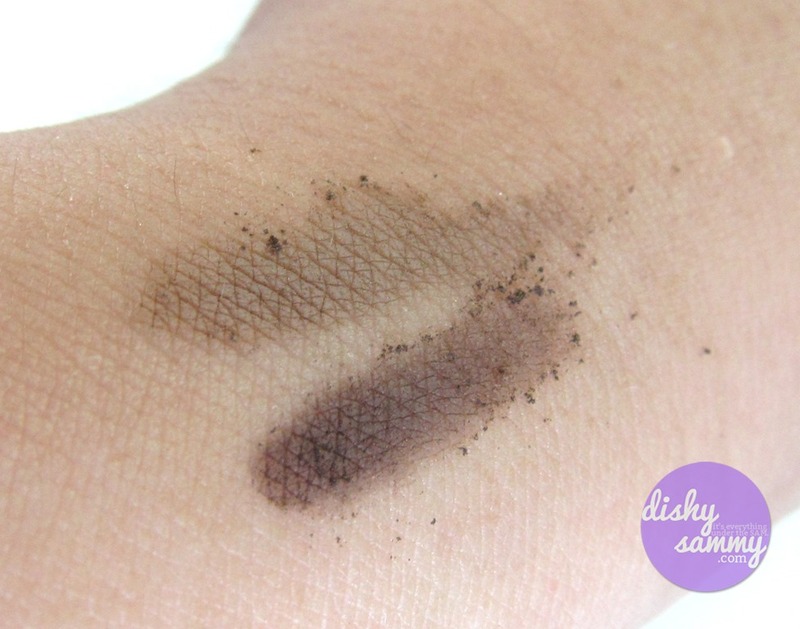 You can combine the two brow powders or use the separately depending on your taste. You can also wet the brush to make it last longer. This is best set with either colored brow mascara or clear gel mascara to make them stay in place. Maybe someday Essence can come up with a complete brow it, the one with highlighter, brow mascara or wax. That’s it for a quick review gals (and guys) What is your current brow product? Let me know below I want to try it. Have you done your P.A.R.T? Sammmm! Bet ko to 🙂 Parang naalala ko dito yung 1st fave ko na eyebrow powder from Nichido. Ang cute ng packaging and mas mura to sa ELF Eybrow Kit. Masubukan nga, lapit na din maubos yung BYS ko. Hehehe! 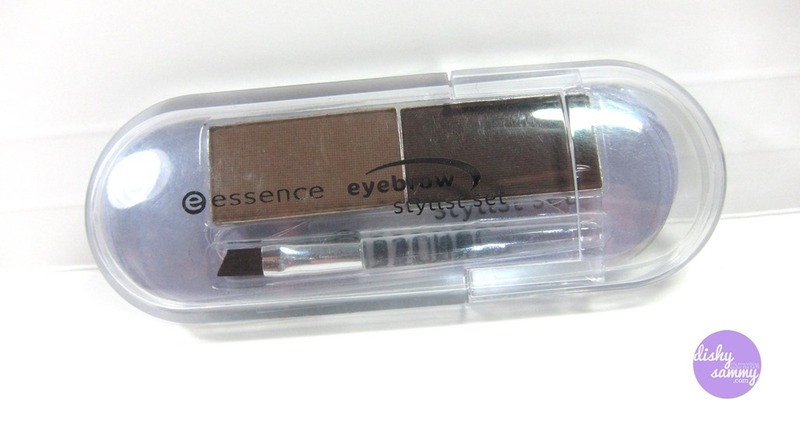 I have been so curious about this eyebrow powder! So nice to see a review and product feature on it 🙂 Thanks for sharing! Btw, what’s your current eyebrow kit? Oh, definitely! I am switching between K-Palette Lasting 2Way Eyebrow and Fanny Serrano Eyebrow Quad 🙂 But I want to try something new! I heard the k-palette is great as well as the in2it brow powder. Im eyeing on in2it brow powder cake,, and I wanted to buy stencil din,. but since may stencil na to na ksama I will buy this one nalang hihih 😉 paalala mo nga sakin to babe 🙂 natuyo na yung gel part nung sa ELF ko ee urgh. Haven’t heard of Kate? Where can I see that. Yung logo nila is the word Kate lang. Usually white lang. Iba iba din kasi colors ng packaging nila. Madami black pero may red din ata. Worth it naman siya 🙂 Super Like ko. Rebel Sweetheart recently posted…Wordless Wednesday #49 | Healthy Eating. Sumi Go | The Purple Doll recently posted…Big Daddy Jay’s All-American BBQ: Smoked BBQ Ribs FTW! Yes it is 🙂 This is the only shade available.